Heritage Not Hate Challenge Coin | BUDK.com - Knives & Swords At The Lowest Prices! 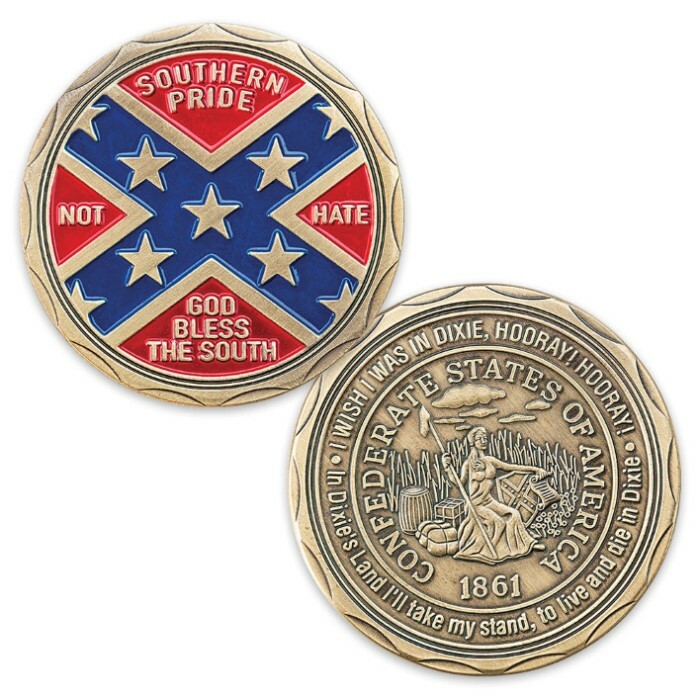 This collector's coin is perfect for those who want a great commemorative item of Southern Heritage. 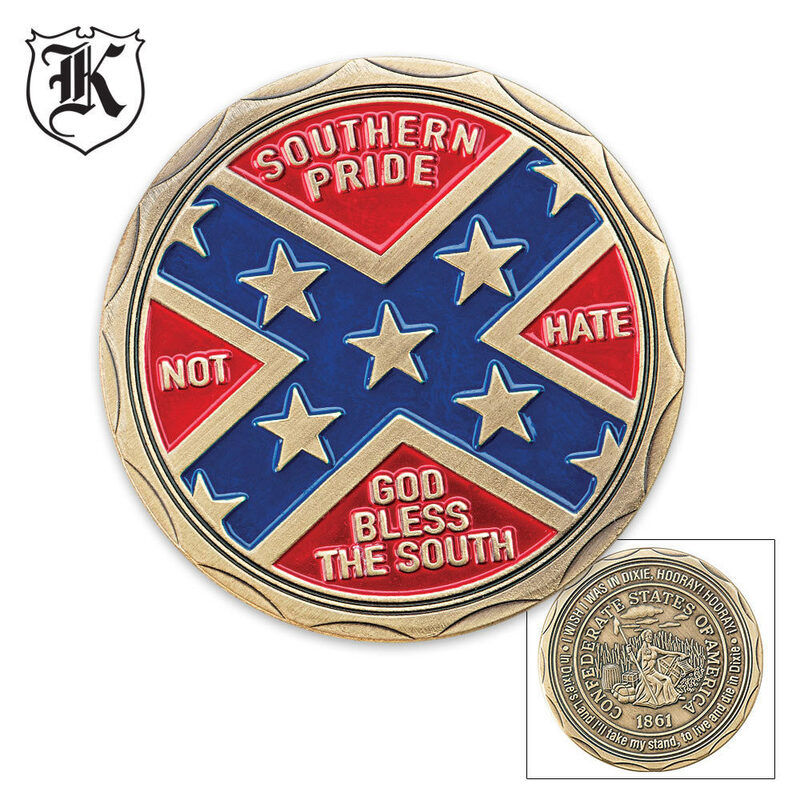 The brass-plated coin is a tribute to the South and includes the words "God Bless the South." 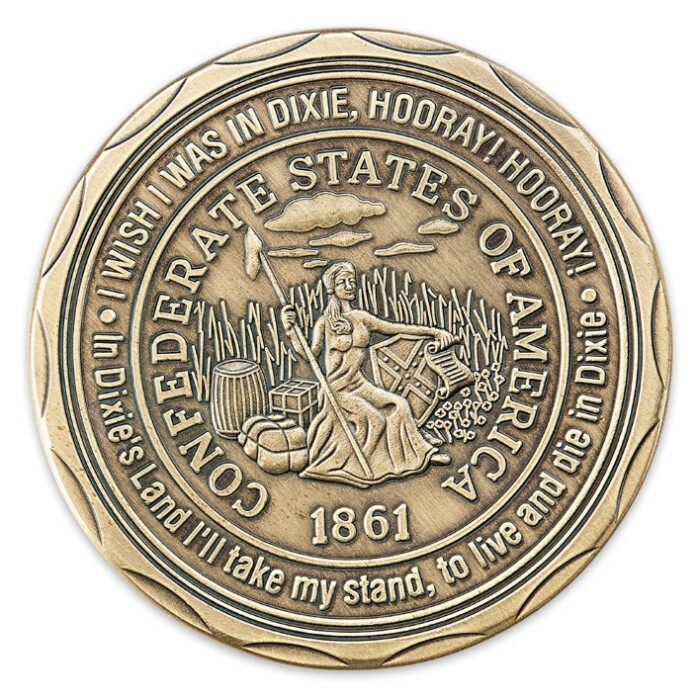 The coin is 1 5/8" in diameter.